The most common problem we treat in both men and women is hair loss. There are many types of hair loss, the two most prevalent being reduced hair volume, also known as androgenic thinning, and Telogen Effluvium, which is an excessive daily hair fall. Our hair and scalp specialists consult to people of all ages. 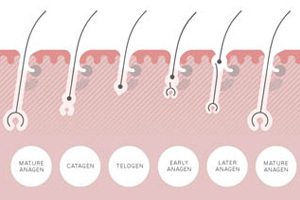 Hair loss is not limited to older men or women; many of our clients are in their late-teens, 20s and 30s. 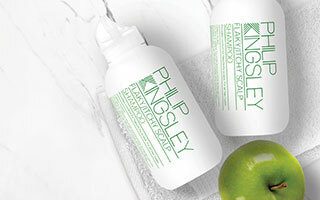 Our founder, Philip Kingsley, was the first to recognise the importance of scalp health in relation to hair health in the 1940s. 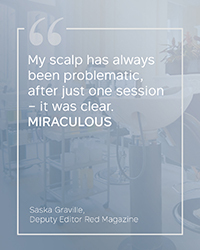 Our clinical scalp treatments are therefore the most well-established in the world, highly effective, thoroughly trialled, and comprehensive. Available only at our Trichological clinic in London, we have over ten unique prescriptive hair loss treatment drops, as well as nutritional supplements, hand-made bespoke scalp creams, scalp tonics and shampoos and conditioners. To ensure you receive the best care available, we offer specialist blood-test profiles and work closely with a network of respected medical practitioners. Additionally we have bespoke hand-made products to manage each hair and scalp condition and our trichologists will be able to implement a thorough treatment plan for your scalp concerns after an initial consultation. We were initially established in 1954 in a tiny one-room hair loss clinic on Dorset street, London. Due to popular demand, we opened our flagship Clinic on Green St, Mayfair in 1968, and our Fifth Avenue clinic in New York in 1977. Starting with a mere five basic products, our clinic range has grown to over 50 bespoke formulations, as well as bespoke hair loss treatments. 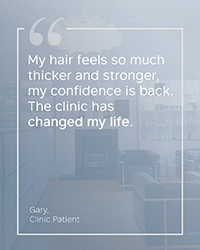 Our trichological hair loss clinics are the most well-established hair and scalp treatment centres in the world with a client base of over (insert number). Covering 4-stories of a beautiful brown-stone in the heart of Mayfair, London, our Green St. scalp and hair clinic houses ten renowned trichologists with over 200 years of collective experience in hair and scalp care. Our hair and scalp specialists work with a state-of-the-art laboratory in London to ensure each of our products meet exceptional standards and can be catered to our specifications. We have over 30 bespoke products, as well as ten prescriptive scalp drops formulated to treat hair loss. 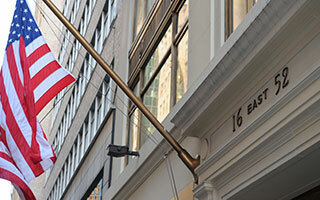 Our Clinic employs a GMC-registered doctor, and works closely with a network of trusted medical professionals. 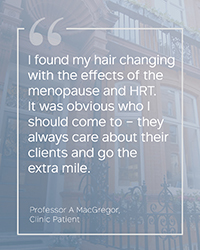 At our hair clinic in London, we have a dedicated trichology treatment room where our Trichotherapists carry out intensive hair and scalp treatments, as well as relaxing and strengthening Hair Spa Treatments, in a friendly and intimate setting.